Prime Minister Benjamin Netanyahu made a return of over 700 percent on stocks he held in a firm tied to a high-profile corruption case in Israel, according to an Israeli television report Thursday. Netanyahu purchased the shares in Texas-based SeaDrift Coke in 2007 for $400,000, before selling them in 2010 for $4.3 million — an over sevenfold increase, Channel 12 news reported. SeaDrift, which produces needle coke used for manufacturing graphite electrodes, was later acquired by a conglomerate in the same field, GrafTech International, a longtime supplier of Germany’s ThyssenKrupp. 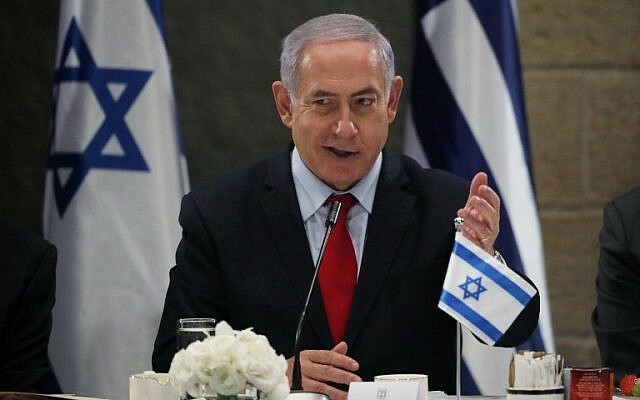 “Netanyahu purchased the stocks at the market price and did not receive any favor or discount,” unnamed associates of the prime minister were quoted as saying in response to the report. The report came after the channels 12 and 13 said Wednesday that state prosecutors are considering opening a criminal investigation into Netanyahu’s business connections to the case. According to a Channel 13 report Thursday, prosecutors suspect Netanyahu misled the State Comptroller’s Office on his financial assets. 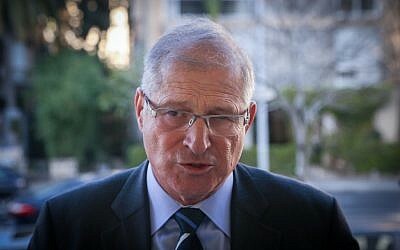 The network said prosecutors are expected to ask the State Comptroller for correspondence between Netanyahu and former ombudsman Micha Lindenstrauss, which could point to conflicts of interests on the prime minister’s part and shed light on his business ties with his cousin, US businessman Nathan Milikowsky. It also said prosecutors would request documents from recent years on all of Netanyahu’s financial holdings. 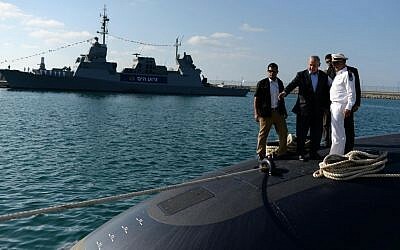 The high-profile Case 3000 investigation has snared several close associates of Netanyahu, but not the premier himself, on suspicion that they received bribes as part of a massive graft scheme in the multi-billion-shekel state purchase of naval vessels and submarines from German shipbuilder ThyssenKrupp. According to an initial Channel 13 report last week, the State Comptroller’s Office recently found that Netanyahu and Milikowsky were shareholders in SeaDrift. The report said Netanyahu did not disclose his past holdings in SeaDrift, which he had acquired when he was not prime minister. Netanyahu’s political opponents have accused the premier of a possible conflict of interest in the ThyssenKrupp affair, and have alleged he may have benefited financially from it. Netanyahu’s ruling Likud party suggested the reports were politically motivated and intended to harm his chances of re-election. Netanyahu is facing indictments on fraud and bribery, pending a hearing, in three other corruption cases. He has denied any wrongdoing in those cases. A probe into Netanyahu’s financial dealings could potentially lead to a new investigation similar to Case 1000, in which he faces fraud and breach of trust charges, pending a hearing, for allegedly receiving illicit gifts from billionaire benefactors. Milikowsky has reportedly given Netanyahu sums of money several times over the last two decades, and the fact that they are cousins isn’t likely to shield them from scrutiny. Blue and White leader Benny Gantz said if he wins the election, Blue and White will establish a parliamentary commission of inquiry into Netanyahu’s ties to the case. In addition to Milikowsky’s involvement, the investigation has already seen police recommend bribery charges against another cousin of Netanyahu, his long-time attorney David Shimron, his former bureau chief David Sharan, his former pick for National Security adviser Avriel Bar-Yosef, former head of the navy Eliezer Marom and former minister Eliezer Sandberg. Netanyahu has been interviewed as a witness in the case, but was not a suspect. Shimron represented ThyssenKrupp in the sale and is suspected of trading his influence over the prime minister in return for a hefty cut of the deal. 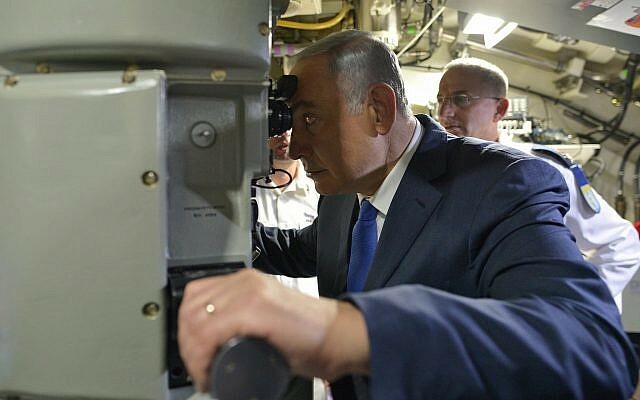 Police believe he pushed for a NIS 6 billion ($1.5 billion) defense contract to purchase submarines for the Israeli Navy and other vessels to protect the country’s offshore natural gas fields. Much of the case is based on the testimony of state’s witness Miki Ganor, who was ThyssenKrupp’s Israel agent. Ganor has admitted to bribing a string of senior officials in order to help secure contracts for the company. In a surprise development Ganor on Tuesday told police he was retracting his testimony, saying he had not bribed anyone. He was later arrested by police but a judge ordered Thursday that he be released to house arrest.